Regardless of how well prepared you think you are for adult responsibilities, there is always room for improvement – especially when it comes to life insurance. For millennials, life insurance may not feel like a totally immediate concern; however, it is the type of insurance that is too often underestimated and even more complicated than many people anticipate. Whether or not you think you need it, it’s time to prioritize arranging your coverage. But we know this can be a confusing process, so we’re here to make it easier. Life insurance can help family avoid bankruptcy. Life insurance is often thought of as money that will be inherited from a parent or guardian once they pass. However, life insurance also helps to cover the expenses that would normally fall to those who are responsible for making arrangements. Student loans don’t disappear. Believe it or not, your loans don’t go away if you die. If you have Federal student loans, your loans will be discharged and your family will not be responsible for your debt; however, private loans will be inherited by your family. The last thing your family needs are debt collectors harassing them in their moment of grief. Life insurance is cheaper the younger you are. At this age, you can buy a quality life insurance policy for less than the cost of a commuter pass – especially if you don’t have big expenses to cover after you’ve died. As you get older and your health risks increase, you’ll pay more. Life insurance may be part of your employee benefits. Take some time to assess your benefits package because many employers offers life insurance as part of it. That said, if you plan to switch jobs in the next few years, it will be worthwhile to obtain an individual policy as well. There are many different types of life insurances to consider. 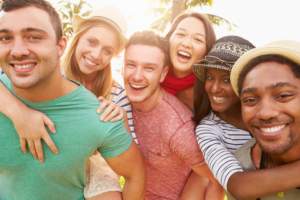 Millennials should know that there is not one type fits all when it comes to life insurance. At Cleary, we offer a variety of categories under life insurance. These include, Whole Life Insurance, Term Life Insurance, Disability Insurance, Long Term Care, Key Employee Insurance and Buy Sell Insurance. We are here to answer your questions. Contact us at any time, and we will be happy to assist you. In light of the recent natural disasters happening around the globe, we are unfortunately reminded of the importance of obtaining proper personal insurance. If you are a homeowner, it is pertinent to routinely assess your personal insurance policy’s coverage. Unforeseen events (knock on wood) happen, and at that time you will be relieved of one less stress with the proper policy. Personal insurance can range from home to auto, and rental to expensive items like jewelry and electronics. If you have something of value that is not yet covered by insurance, there is no harm in learning about your options. We’re here to help with the legwork. 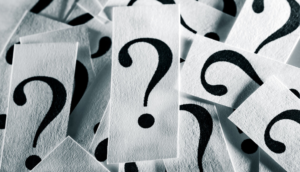 Below are a few questions you can ask yourself when evaluating your personal insurance policy. How much coverage is enough for my home? What would it cost to replace my belongings? Do I need or have reimbursement for additional living expenses if I can’t live in my home due to loss? How much would it cost to repair the inside of my home if it were damaged? Should I get insurance in the case of natural disasters (i.e. flood, earthquake, hurricane, etc.)? The goal of personal insurance is to guarantee your family is secure, financially and emotionally. 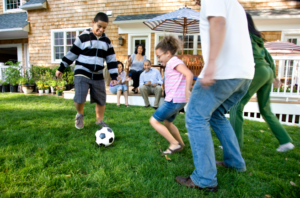 At Cleary, we believe a solid insurance policy is a necessary step in order for your family to live life to the fullest. Contact us with any questions.